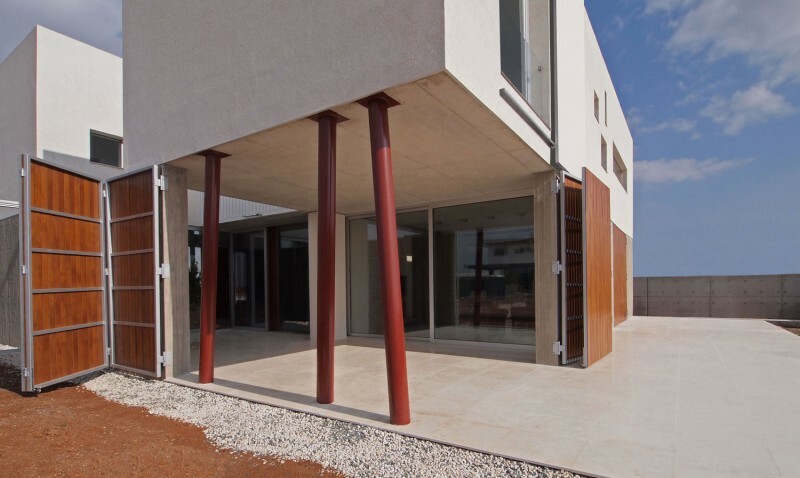 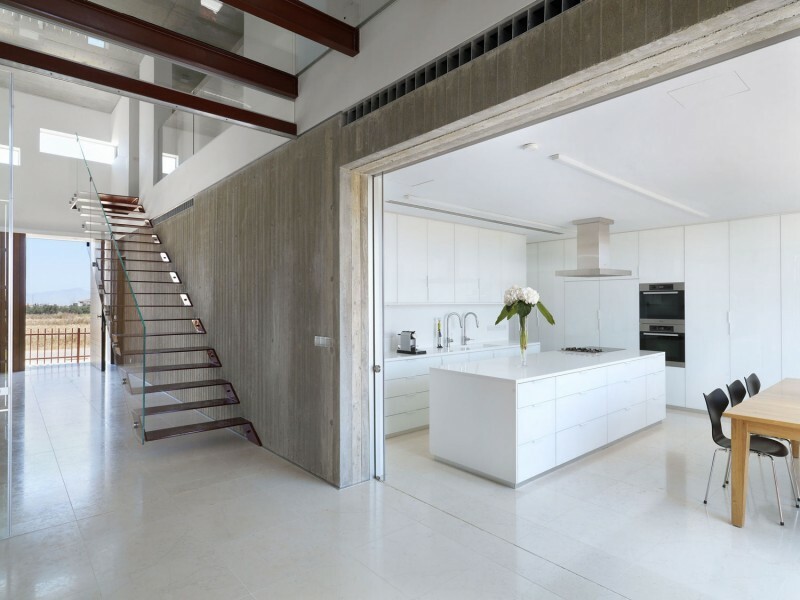 Simpraxis Architects designed this contemporary home in 2011 for a family living in Nicosia, Cyprus. 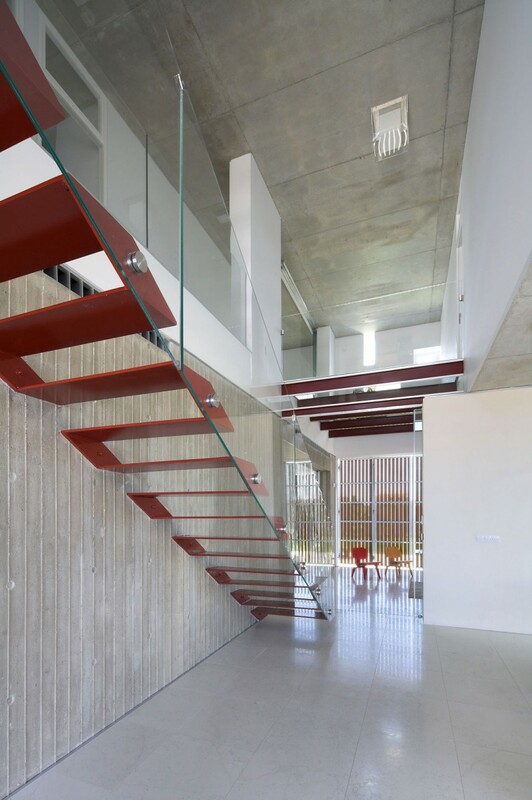 The building is an imposing structure that opens to reveal a light, spacious interior. 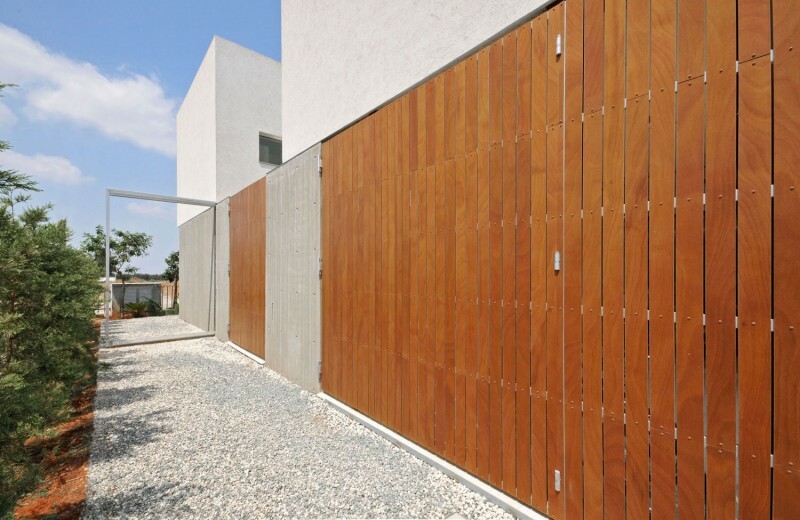 “The house designed for a couple with two children is situated in a suburban area of Nicosia that is only recently undergoing development. 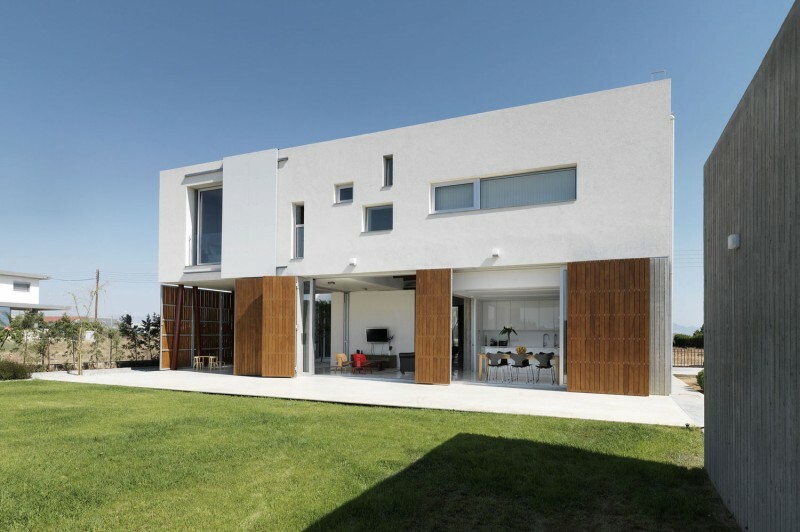 The square footprint of the house is largely determined by the rectangular shape of the site subtracting the three meters required setback on three sides and allowing for a large yard at the back that faces south. 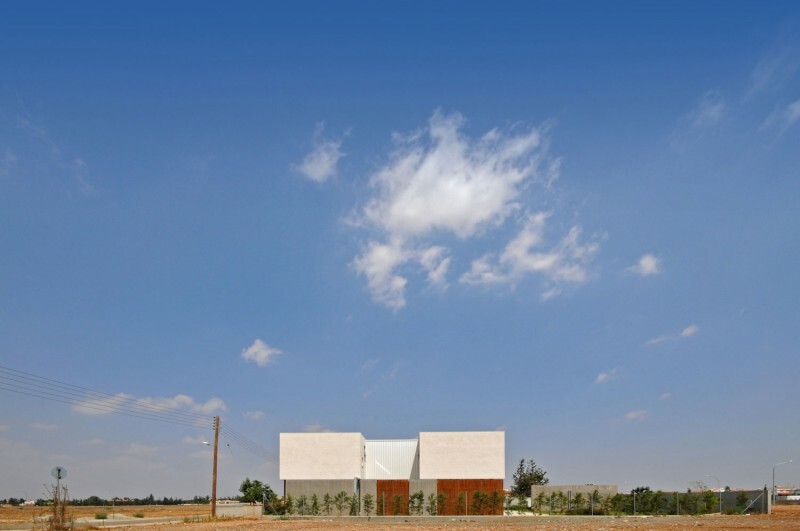 The house attempts to address the dual nature of the largely undeveloped landscape that can be inviting but also intimidating. 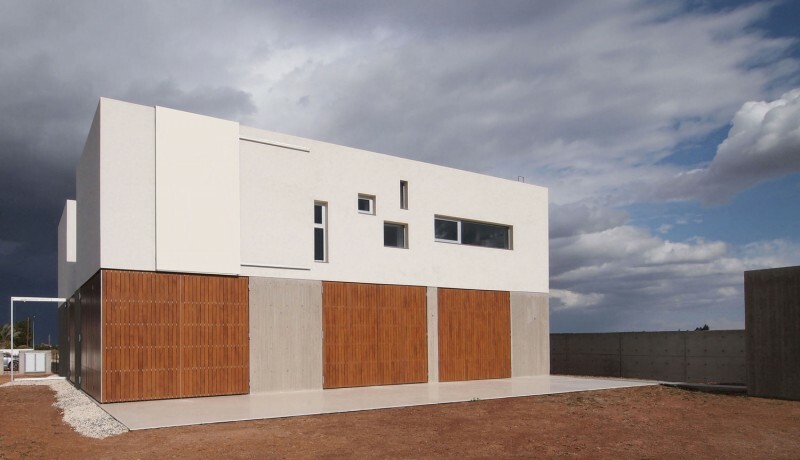 The box is programmatically divided into two parts. 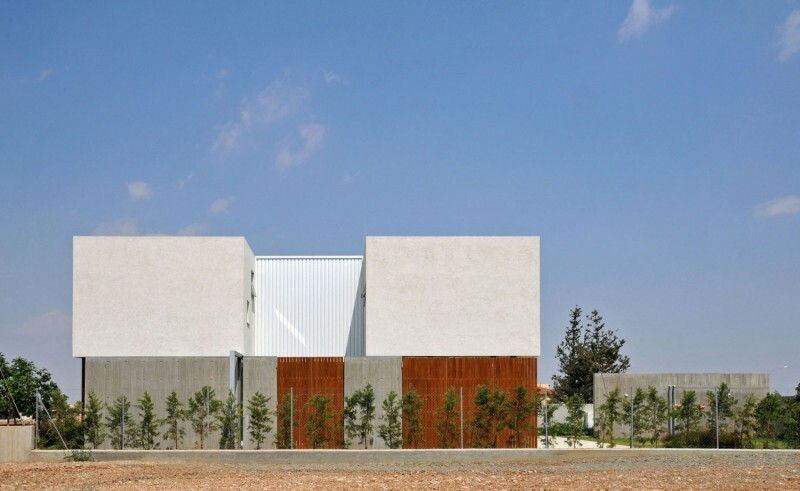 A two story rectangular box along the east boundary includes bedrooms and a bathroom for the children as well as guest areas, service areas, kitchen and parking. 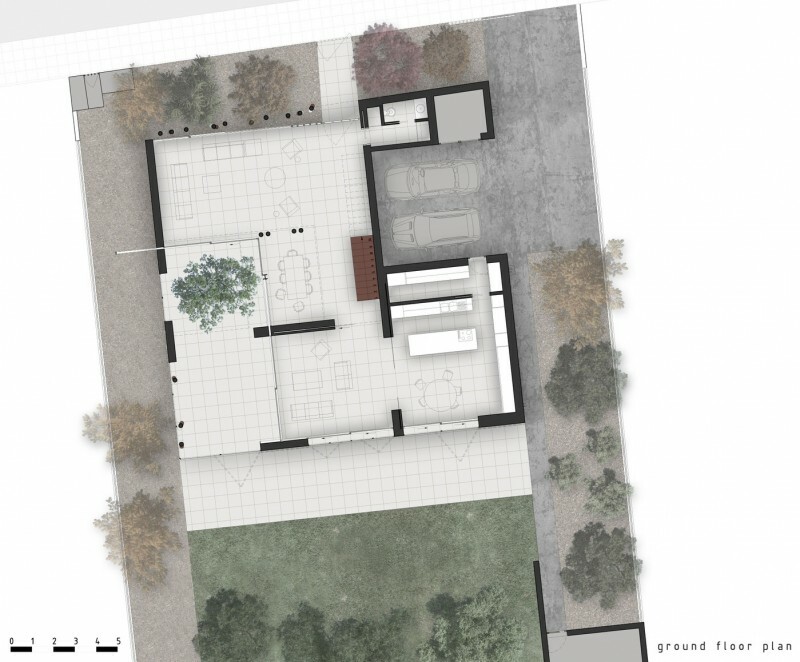 The remaining void of the double height ‘box’ includes the common areas, the outdoor covered areas on the ground floor and the master bedroom and bath on the second floor. 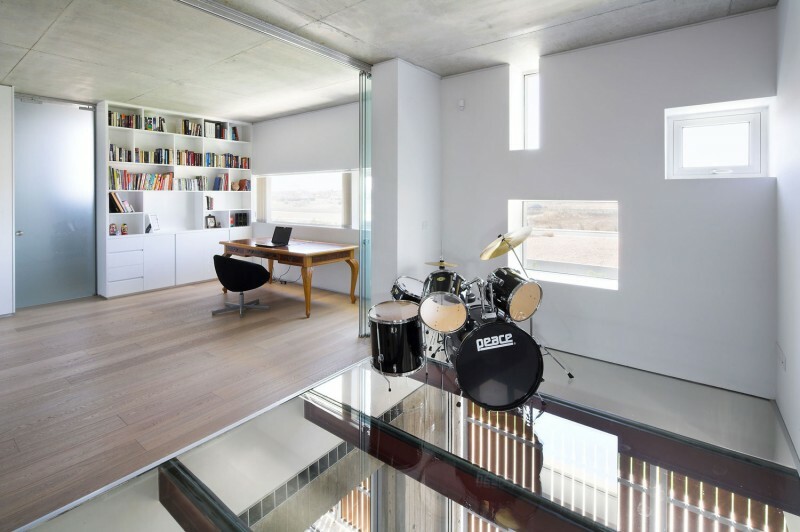 An intermediary space with glass floor functions as a bridge that connects the master bedroom to the rest of the second floor. 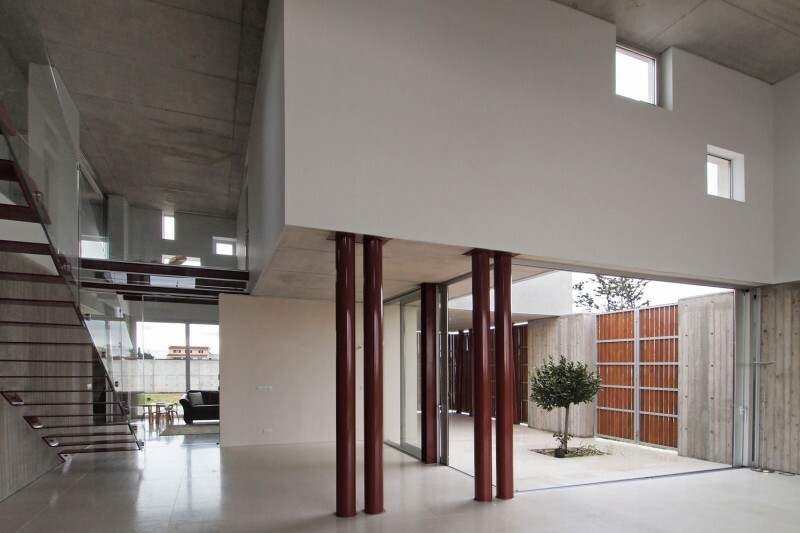 The experience of the floating transparent floor, besides physically connecting the two parts of the second floor, introduces an element of autonomy to the parents’ personal space within the bigger void of the house. 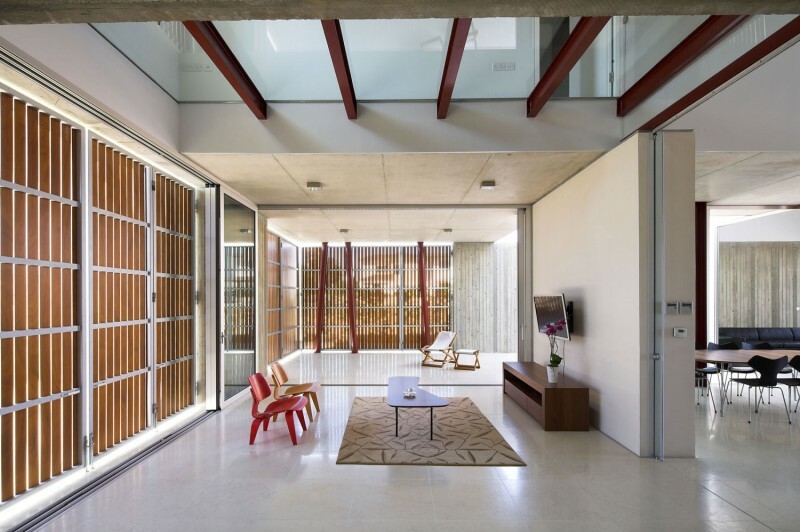 A system of glass sliding doors, together with folding metal/wood doors, enclose an outdoor space that connects the interior spaces. 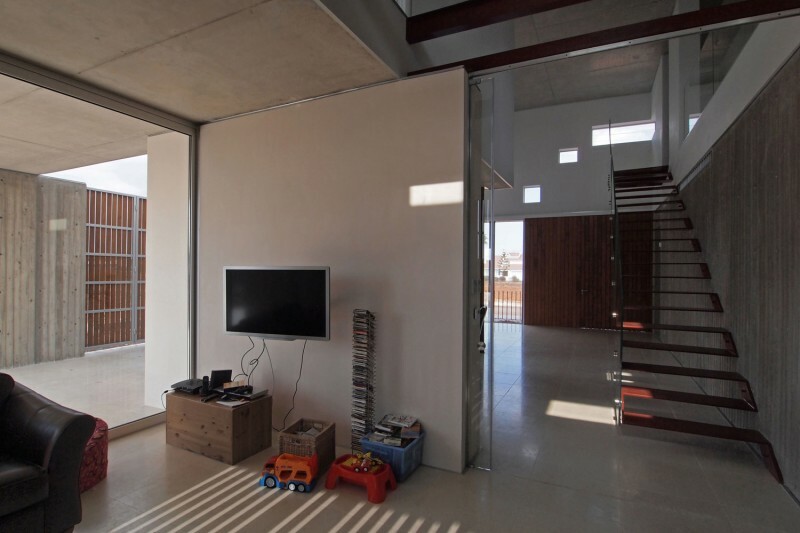 A gap on the second floor of the box allows for natural light to enter the courtyard and the interior spaces. 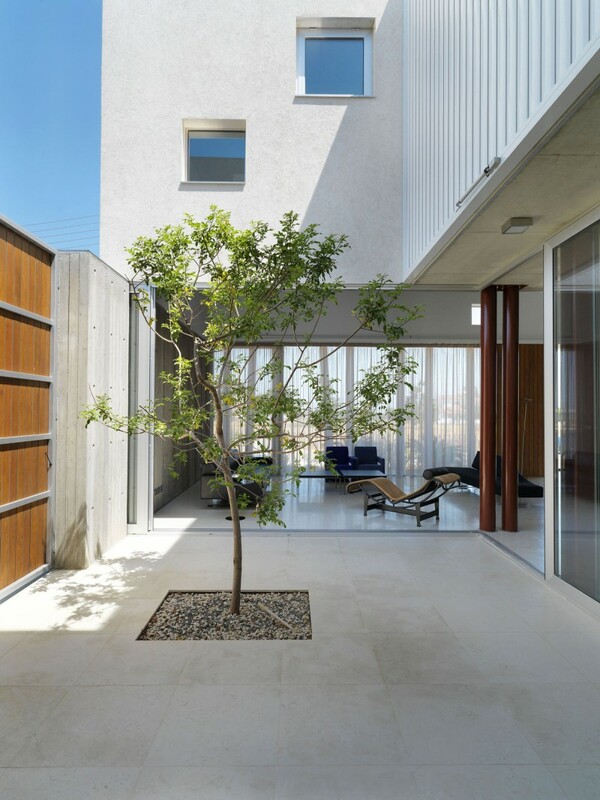 A tree shades the interior courtyard in the summer and protects the interior spaces from the summer western sun. 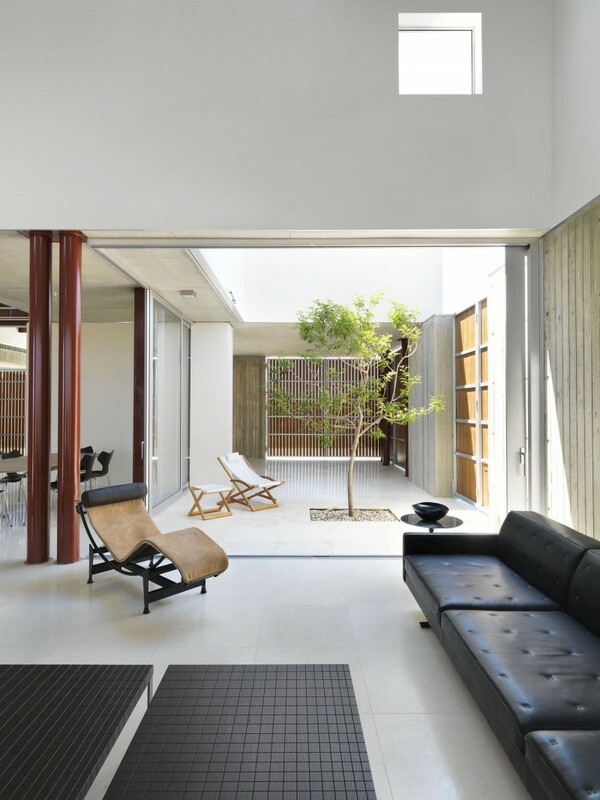 Once all glass doors are open the enclosed courtyard and the interior spaces function as one. 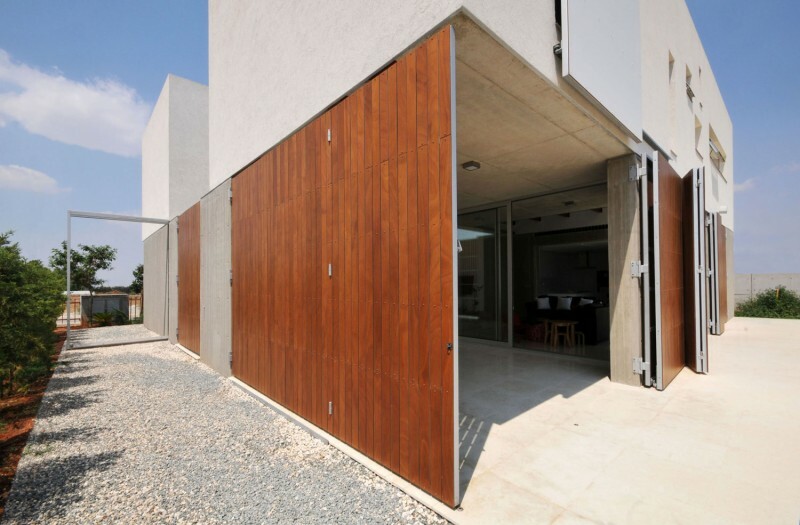 Opening the exterior folding doors expands the boundary of the space to the edges of the rectangular lot and beyond. 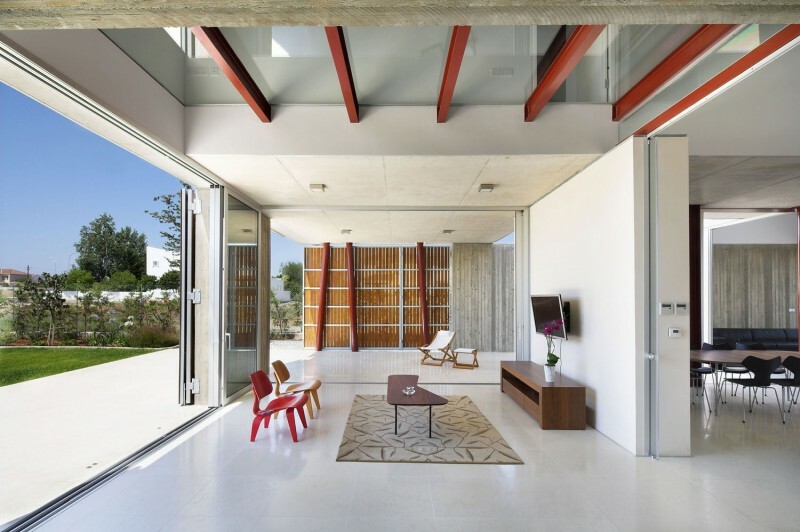 Opening the folding wooden-clad doors during the winter months and maintaining the glass doors closed, allows for sunshine throughout the day. 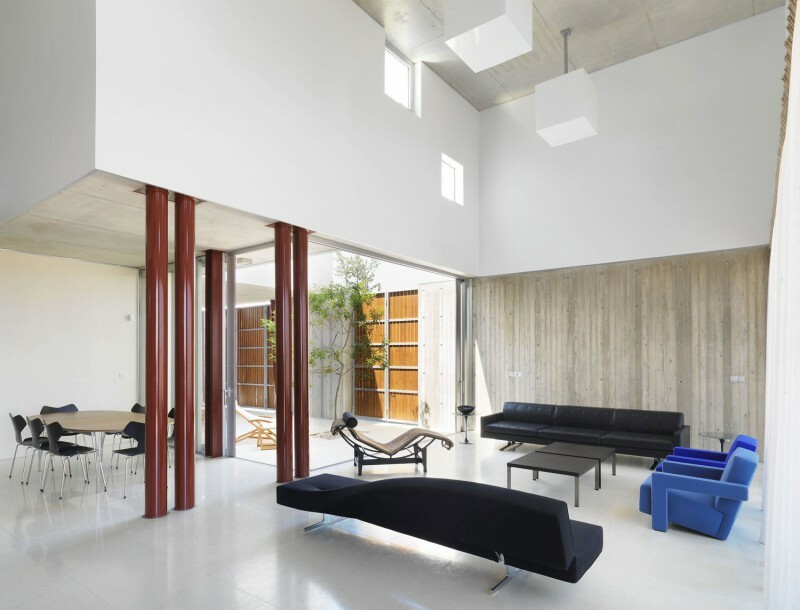 The deciduous tree situated in the portion of the courtyard open to the sky allows for southern light to warm up the areas located in the north part of the house. 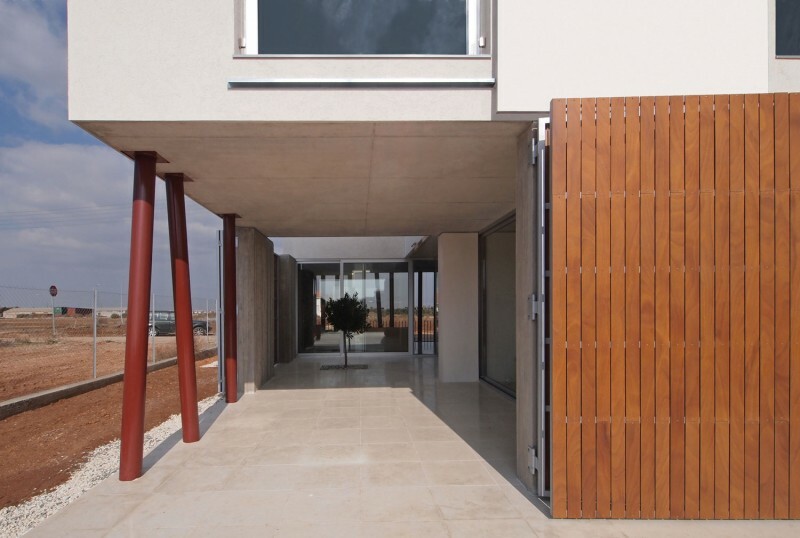 Keeping the folding wooden doors closed during the summer and opening the glass sliding doors allows for effective cross-ventilation and passive cooling and also helps to shade the spaces, both indoor and outdoor, from the harsh direct and indirect sunlight.